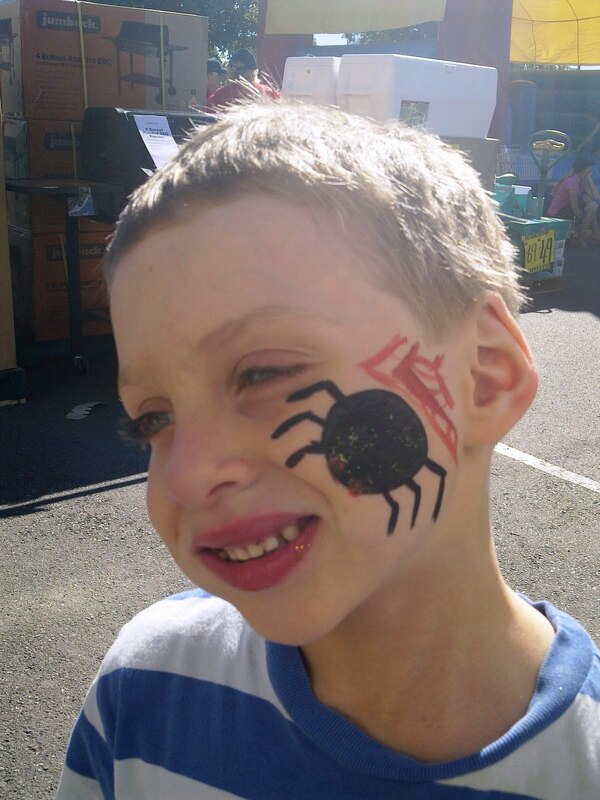 This weekend we went to Bunnings. Big Woop de doo dah, I hear you say. National hardware chain, everyone goes there. And gets lost. But this time it was so much fun. Bunnings where having a carpark sale! 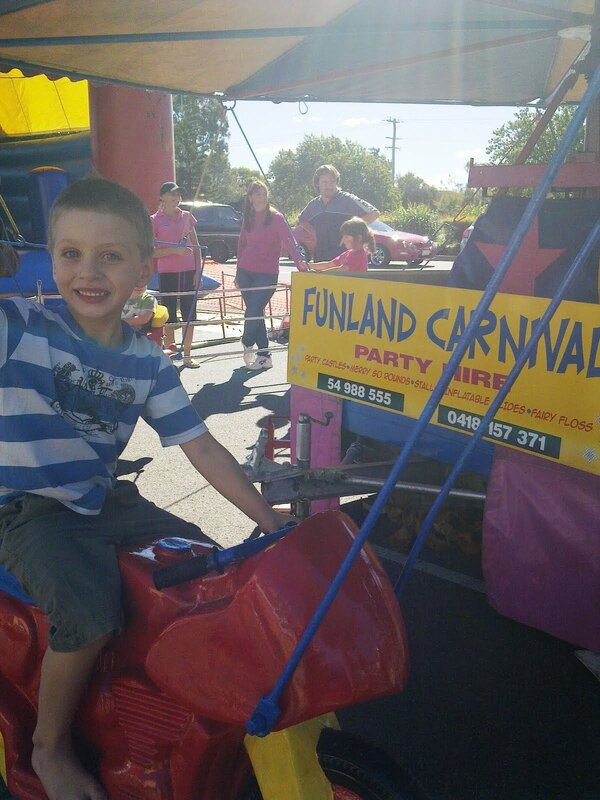 There was free rides, free face painting, a brass band, and Monkey Boy’s favourite….the Bunnings Sausage Sizzle. Both Monkeys had a ball. 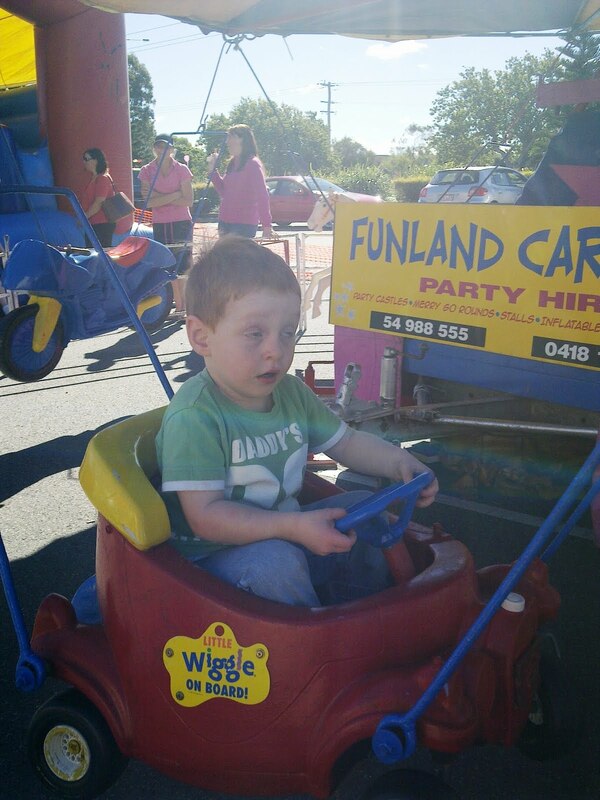 Monkey Jnr was a bit concerned he wasnt steering the big red car properly, but he relaxed a bit during the face painting. 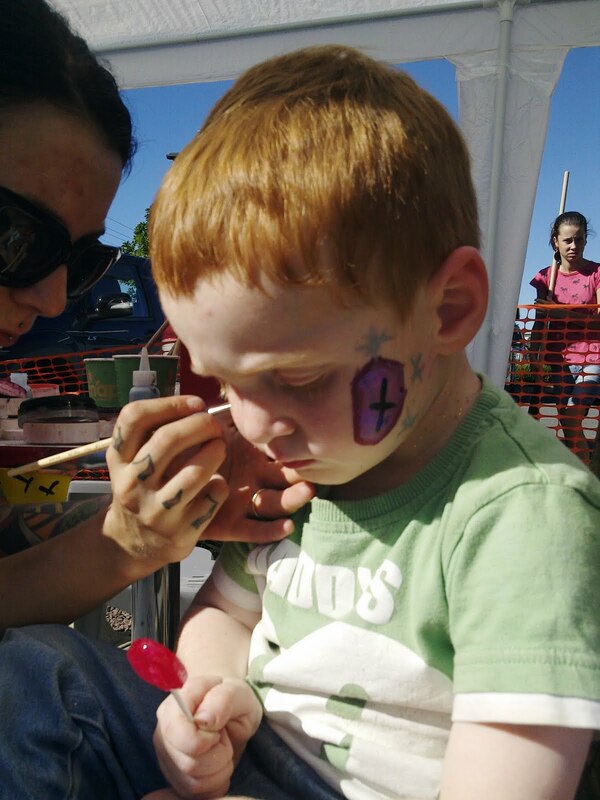 “What do you want?” The tattood, ear stretcher wearing face paint artist asked. “Whatever you like, go nuts” I replyed, foolishly. “Cool!” She said, then painted a coffin on my 2 year old’s cheek. At least he didnt insist on eating a sausage sizzle while it was being done, unlike the Gentleman.